How Do I Update the Copyright Date on my Website Automatically? One way to tell if a website hasn’t been updated in a while is by looking at the copyright date at the bottom of the website. If it says something like 2008, then you kind of wonder if the website has been updated since then. The way we set up websites, we have the copyright date update automatically. Whatever the current year is will show up at the bottom of every page on the website next to the copyright information. How Do Copyright Dates on Websites Work? The copyright notice on a work establishes a claim to copyright. The date on the notice establishes how far back the claim is made. This means if you update the date, you are no longer claiming the copyright for the original date and that means if somebody has copied the work in the meantime and they claim its theirs on the ground that their publishing the copy was before your claim, then it will be difficult to establish who is the originator of the work. Therefore, if the claim is based on common law copyright (not formally registered), then the date should be the date of first publication. If the claim is a registered copyright, then the date should be the date claimed in the registration. 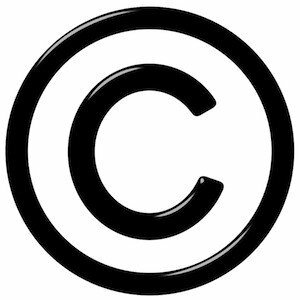 In cases where the work was substantially revised you may establish a new copyright claim to the revised work by adding another copyright notice with a newer date or by adding an additional date to the existing notice as in “(C) 2000, 2010”. Again, the added date establishes how far back the claim is made on the revision. © 2001-2016 Your Site Name - All Rights Reserved. If you’re not doing it this way, there are other ways to prove that your website was up on a certain date in the past but doing it this way makes it more clear to people when your copyright started. Those are the places you should look. To access some files, you may need to FTP in to your website and edit some files manually. To some people, doing that sounds scary. If that’s how you feel, then it’s probably best to pass this task on to someone that knows what they’re doing so that you don’t mess up your website. Do I Need to Legally Copyright my Website? It’s up to you – talk to your lawyer as I am not a lawyer. The advice I’ve seen and have used myself is to do what is known as “Poor Man’s Copyright.” It’s simple to do. You simply print out a copy of your home page or complete website and then mail it to yourself. The date stamp on the envelope (as stamped by the U.S. Government) is supposed to stand up in court – as long as you don’t open that envelope, of course. The judge should open it. From what I’ve learned, anything affixed to a medium has an automatic copyright. Again, if you want to be sure, contact a lawyer. Get the Work Done for You! If your website isn’t set up this way, please let us know and we’ll see how we can help you. This way, you won’t ever have to worry about updating it (on every page of your website) every year. It’ll always look current! My website maintenance team at Webstix can help you with this.